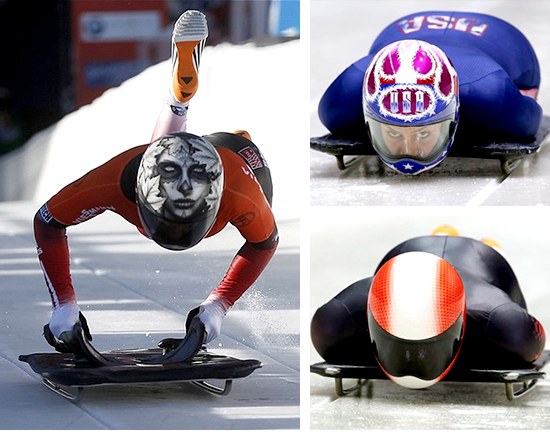 Skeleton is one of the newest sports accepted into the Olympic circuit, only officially being recognized in 2002. 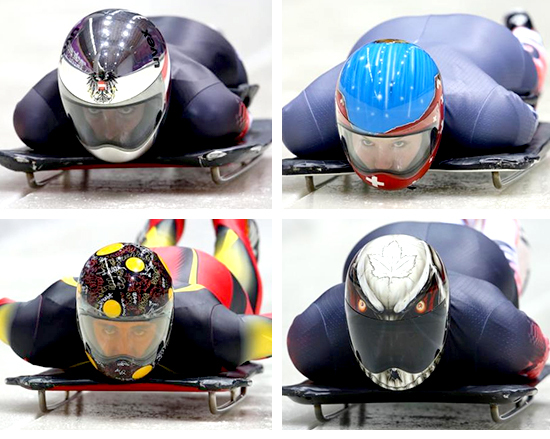 Despite the dangerous high-speed nature of the event, many athletes and fans continue to look forward to the skeleton event, and now athletes have found a way to personalize their appearance in an iconic and creative way. The artists and athletes from all over the world have collaborated to design unique custom helmets and body suits for each contestant. 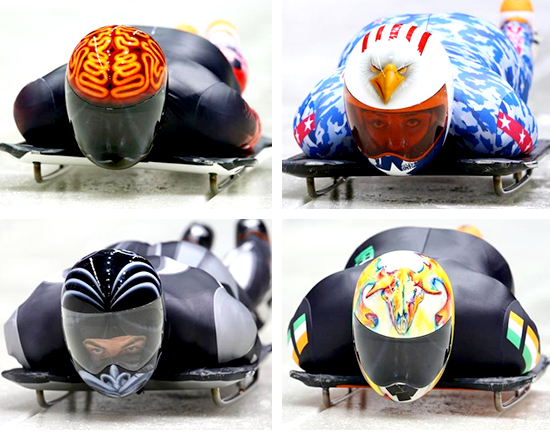 Ranging from patriotic American symbolism to designs like neon-orange brain decals, skulls, and abstract shapes, these helmets have been elevated from simple safety gear to defining works of art symbolic of the athlete and their nation as a whole. With this surprising amount of creativity involved in customizing the athletes’ uniform, the Sochi games are bound to show off even more amazing designs as the month goes on!